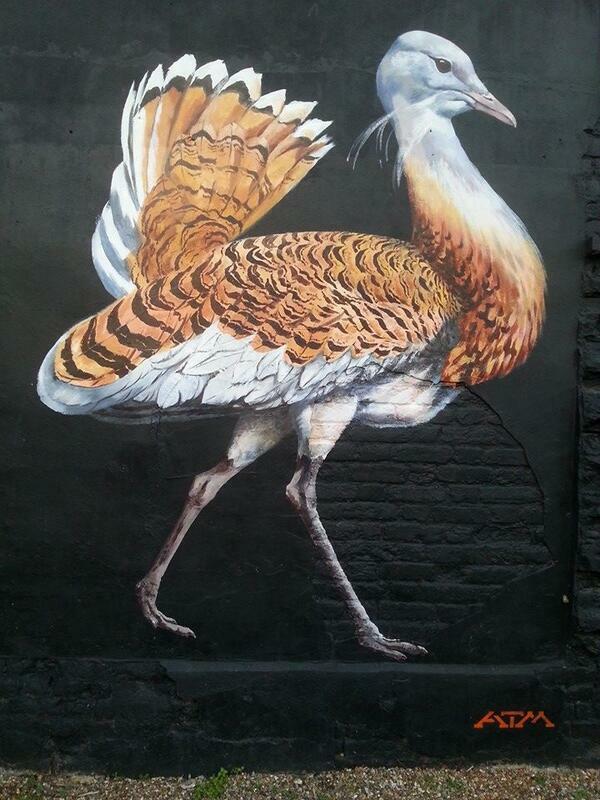 Unfortunately the image of the Great Bustard doesn’t appear in the full article, but luckily the artist put this one up on twitter… beautiful! Contemporary and new media art and artists typically occupy an interstitial place with respect to dominant or systematised approaches to heritage culture. 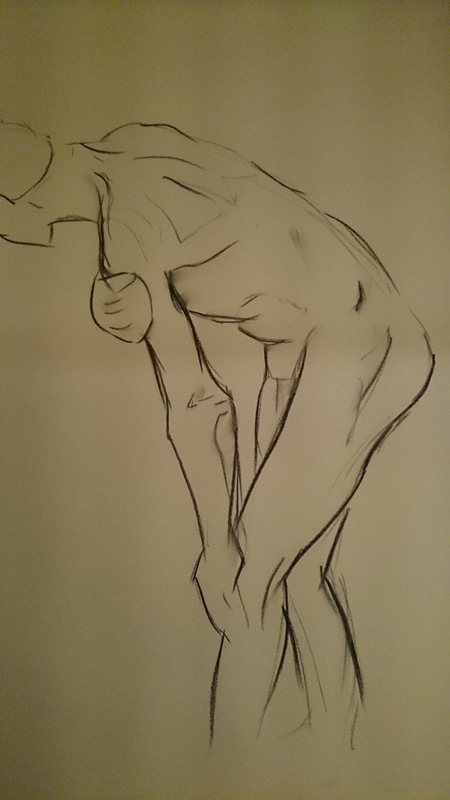 As ‘insider-outsiders’ they simultaneously contribute to those structures and practices and critique them. A number of contemporary artists have started investigating the territories normally bound within carefully controlled systems by means of emerging technologies. They are generating new artistic modes of production that provoke and encourage a shift in established ways of creating, exposing, sharing and providing narratives. Within this more fluid framework, several questions arise: How do we approach the processes of artistic creation in ways that embrace social technologies to personalise the museum and gallery experience? In this context, how does either the “invasive” or lightweight and potentially ubiquitous nature of AR technologies shape contemporary new media artistic creation? Can AR assist in passing from the “I” of the Artist to the “we” of participation to reshape the relationships between the public and the museum and gallery space? How can AR effectively expand the exhibition space outside the gallery’s walls and into the city? And how can all of the above change our perception of what may actually constitute a Museum? read the full piece here…..
R. McKinley and A. Damala, ARtSENSE and Manifest.AR: Revisiting Museums in the Public Realm through Emerging Art Practices. In Museums and the Web 2013, N. Proctor & R. Cherry (eds). Silver Spring, MD: Museums and the Web. Published January 31, 2013. Consulted March 12, 2014 . Thinking about the need for a model of a bustard to put into my exhibition space I was looking online for any sculptures that perhaps others have made and I stumbled across a Go Bustard event which happened in 2012. 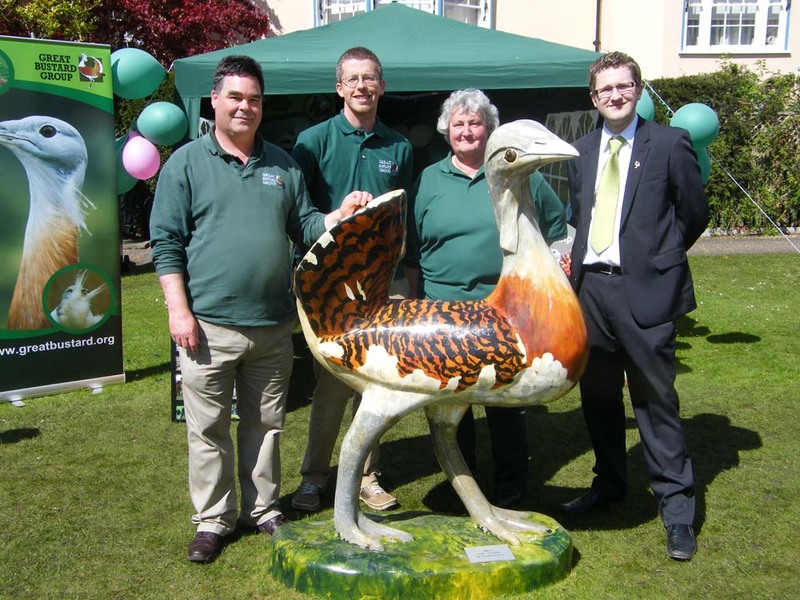 A community arts project featuring giant great bustard sculptures has been set up to raise the profile of the Wiltshire town of Warminster. Go Bustards! is organised by Warminster Art Society and the local Development Trust (an affliate of the local Community Area Partnership). 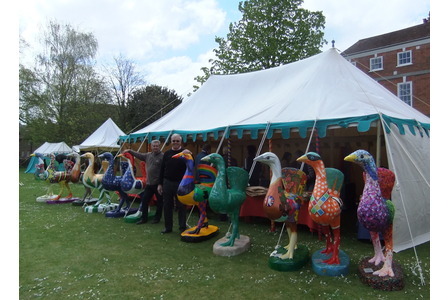 The glass fibre resin sculptures will form an arts trail around the town and the group are looking for businesses to sponsor their own bustard. Those already taking part include The Organ Inn, the Minster School a handicraft shop Think Outside the Box which is to be decorated with 22kgs of multi-coloured buttons. “We want all different parts of our community to be involved to bring people from Warminster and the surrounding villages together, and raise the spirits in what is such a difficult time for many. 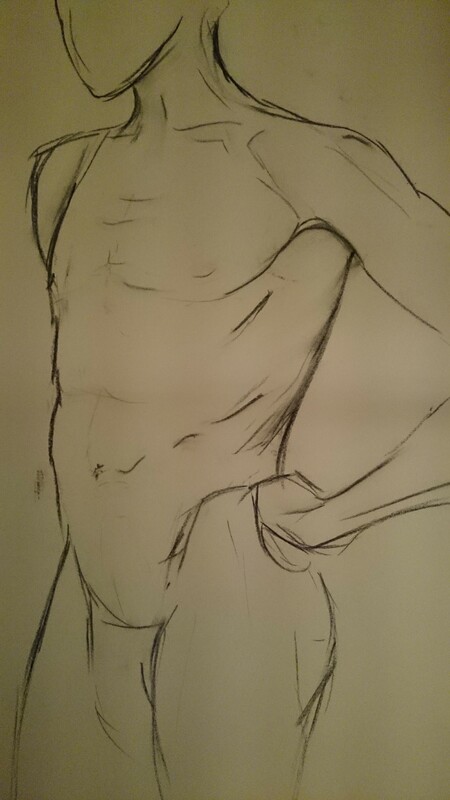 The sculptures will also be used to raise money for charity, as they will be auctioned off when the project is over. Unbelievably this was in February of 2012 so I just missed it, but these sculptures were huge! 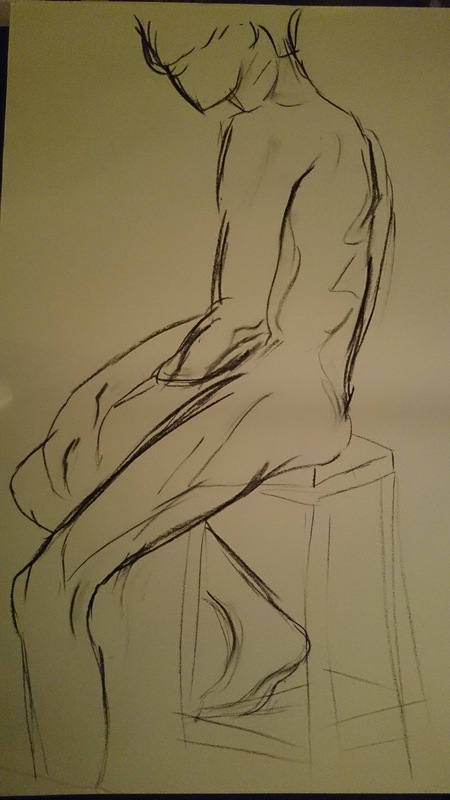 I contacted Lesley Fudge brainchild of the Go Bustard ART trail in conjunction with the Warminster Art Society and asked if it was possible that they did a life-size sculpture to base the larger ones on, but unfortunately they only ever made the giants and a couple of 8″ mini models. 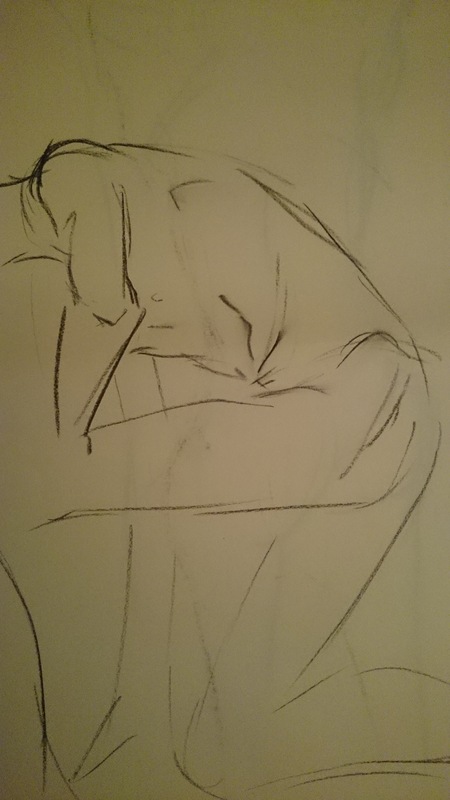 But the shape they have is simplified and will work well if I can closely follow it for my own sculpture. 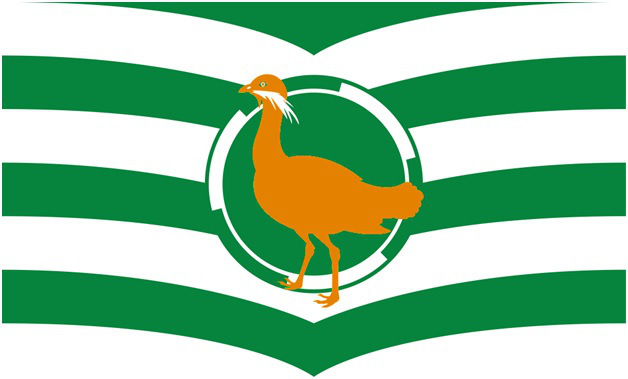 Wiltshire has obviously taken the Great Bustard to heart as it also features the bustard on it’s flag! 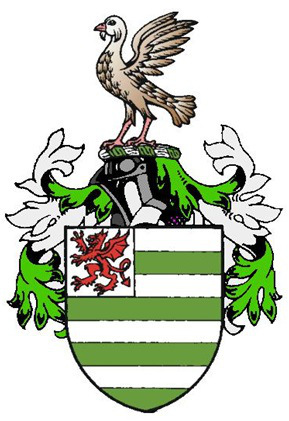 The old crest has a Bustard on it too!